With Spring cleaning time kicking in high gear at our house ahead of Passover, this contest couldn't be more timely. 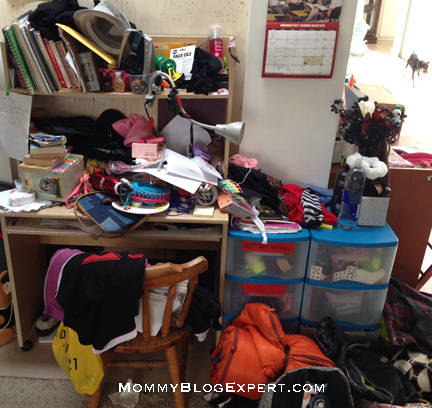 Do you ever wish you could be rewarded for the messes your children make? 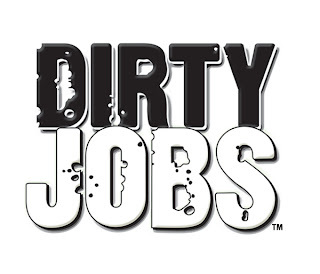 If life gives you lemons you may as well make some lemonade because your kids' sloppiness could win a great prize if you enter the contest My Dirty Jobs is running now through May 9, 2013. Here's the dirt (I mean full details). My Dirty Jobs, known for their cleaning products formulated to handle the dirtiest jobs, is conducting a nationwide talent search for America's top "Mess Masters." The company is inspired by the hit Discovery Channel cable show series Dirty Jobs starring Mike Rowe that my kids love probably because they secretly wish they could work as Mike's sidekicks on one of his more smelly and stinky adventures. 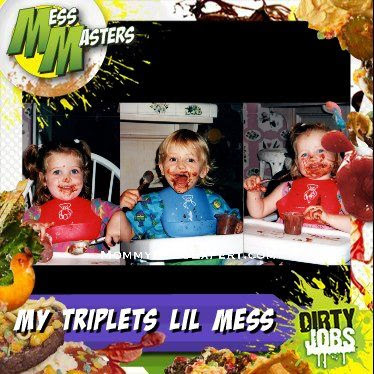 According to Adam Lerner, President and co-founder of My Dirty Jobs, "Our Mess Master contest will spotlight those really dirty mess makers from coast to coast and the incredible messes they make." To enter all you have to do is send them a photo of the messiest mess your own darling "Mess Master" makes. If your image is selected you could win the Grand Prize: a full year's professional maid services from Molly Maid, one of the country's top-rated professional home cleaning service companies. First Runner Up wins a $500 Gift Card and the Second Runner Up receives a $250 Gift Card. The Grand Prize winner will be announced on or about Mother's Day, May 12, 2013. Plus, to keep things interesting throughout the competition event, there will be 11 Weekly Prize Winners who will each get a $100 Gift Card. I've already entered several photos of my own multiples as toddlers and reinvented as not-so-neatnik teens in this competition. Two of the three, I'm not saying who, continue to be messiest masters works in progress. So what are you waiting for? You should join me and enter the Dirty Jobs contest too. FTC Disclosure: I've entered some of my own family photos in this contest and am inviting MommyBlogExpert's readers to join me in the competition. I also received a giftcard as compensation for this post, however all opinions are my own. See complete FTC Disclosure information that appears at the bottom of MommyBlogExpert's main page and at the bottom of every individual post on this blog, including this one.